I could call them peynirli çörekotlu kurabiye but their shape alone makes it a dead giveaway that they aren’t Turkish at all. How could they be when the recipe comes from a marvellous old M&S [Marks & Spencer] source called simply The Herb Book? And being forever enterprising, it gives the measurements in all three forms: metric, imperial and what they call ‘American’! The book covers not only herby recipes but all manner of things connected with herbs. Yes, you’ve guessed it: I’ve been consulting it recently with my *herb garden in mind and it’s been an invaluable resource. This is a quick little recipe that’s easy to knock up – perfect for me here in Assos – good with soups or drinks or just when you feel like a little savoury something! But you must serve – and eat – them while still warm from the oven otherwise they go soft. The dough is very easy to manage: it behaves itself nicely when you roll and cut it into shapes. The original herb specified in the recipe is caraway seed but I have totally failed to learn what it is in Turkish, let alone track it down. Hence the nigella. Pre-heat oven to 200°C/400°F or Gas Mark 6. 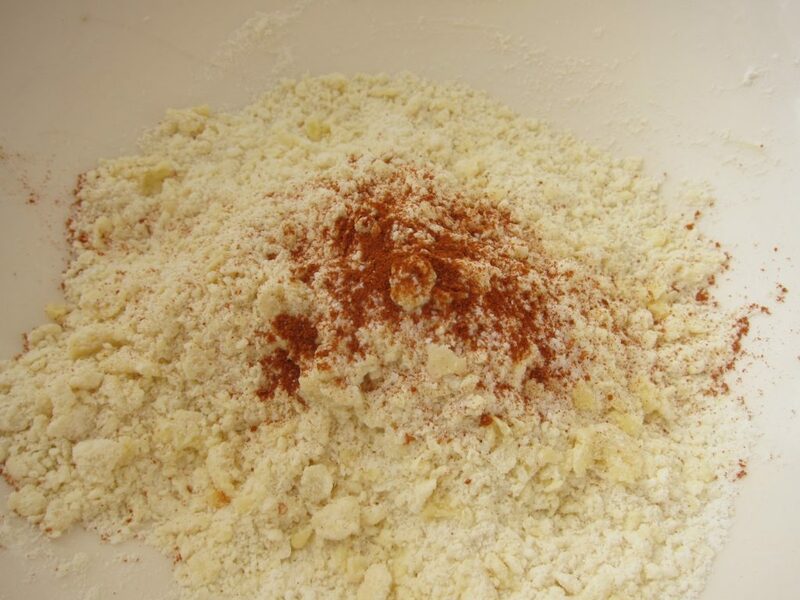 Sift the flour into a bowl and rub in the butter in small pieces. Stir in the caraway seeds (or dill or nigella). 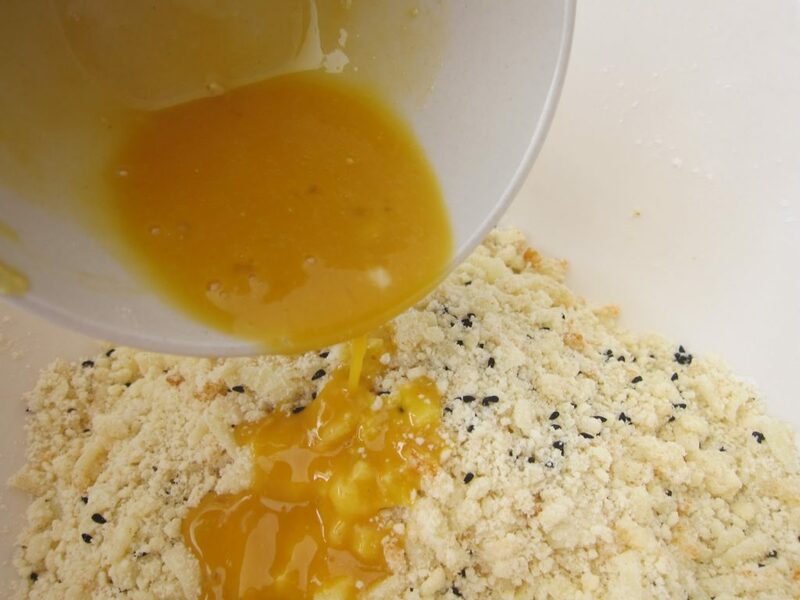 Stir the mustard into the lightly beaten egg yolk and stir into the mixture. Add enough of the iced water to give a soft but firm dough. 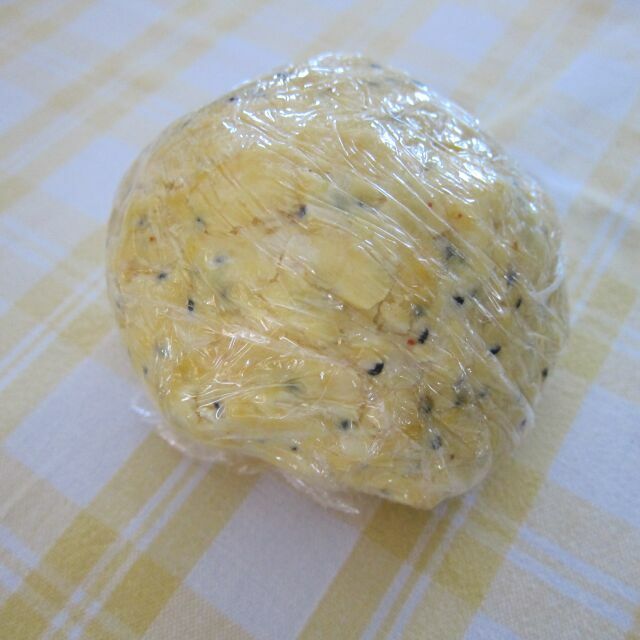 Wrap loosely in cling film and chill for 1 hour in the fridge. Roll out on a floured board until about 3mm/⅛in thick and cut into small rounds. Lay the biscuits on a greased baking sheet and bake for 7 mins until golden brown and puffed up. * I just want to say you’ve all been just great with your comments on the blog and in my inbox with suggestions for herbs and how to get them. And how many generous offers of sending me packets through the post even from the US! Today at the weekly market in Ayvacık I succeeded in finding some basil, the dark-red-leafed variety – reyhan in Turkish (I do know this one!) but that fourth bed is now planted with ….. strawberry plants! I think the way forward with the herbs from now on is pots! these look so good! i have herbs in planters and they come back year after year! Gosh do they? Which herbs are those? I think I need to know!! 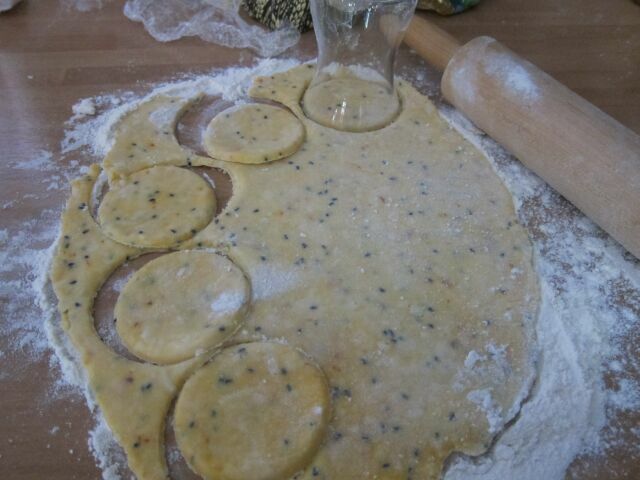 These look great and delicious (Cok Guzel)…..going to copy and make this recipe. My husband loves biscuits. Especially if you sprinkle them with Nigella seeds. We have a Turkish store here so I can pick up the Nigella seeds there. Otherwise I can't really find them here in the supermarkets. It's interesting to me to hear about your Turkish store and the nigella. I must say that I had never heard of them before I came to live here. So nice to hear from you again :)). Herbs are invaluable to have in pots even growing on the windowsill. 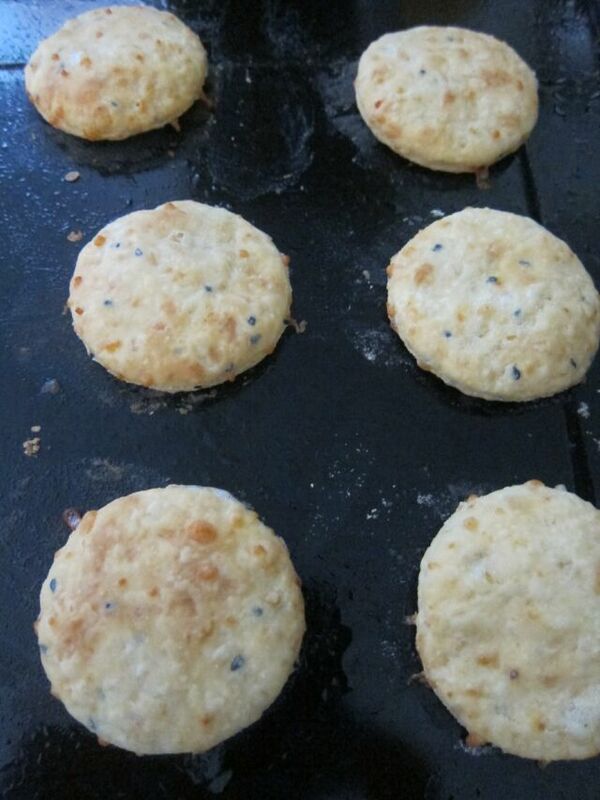 I also do love a good biscuit warm from the oven with a little melted butter! Hmm good idea about the butter :). And which herbs do you grow? These are a great alternative to savoury scones – will definitely make them soon. I've just spotted your orange drizzle cake too – I recently posted a recipe for a similar St Clement's Drizzle cake but I like the addition of chocolate on yours as a delicious variation. You have a lovely blog and I'm your newest follower! Looks delicious! I will definitely give them a try! 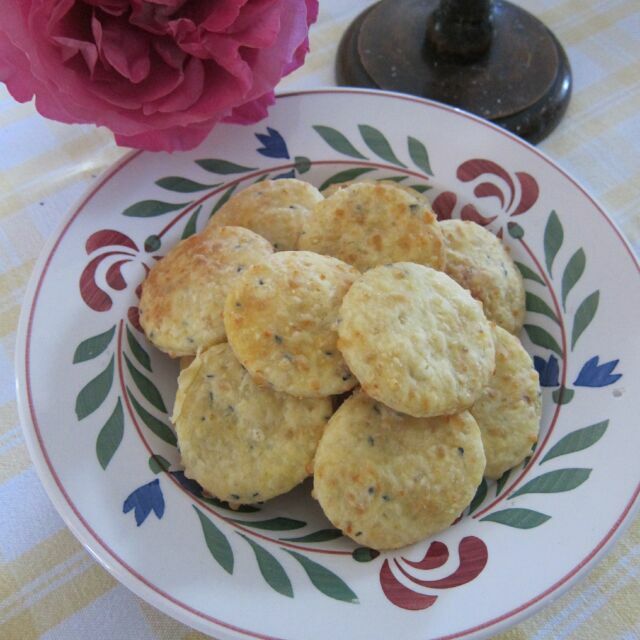 I love biscuits of all kinds and this recipe looks delicious! Thanks for sharing. I appreciate this biscuit recipe. I can see using different herbs in them also. Thanks Claudia. 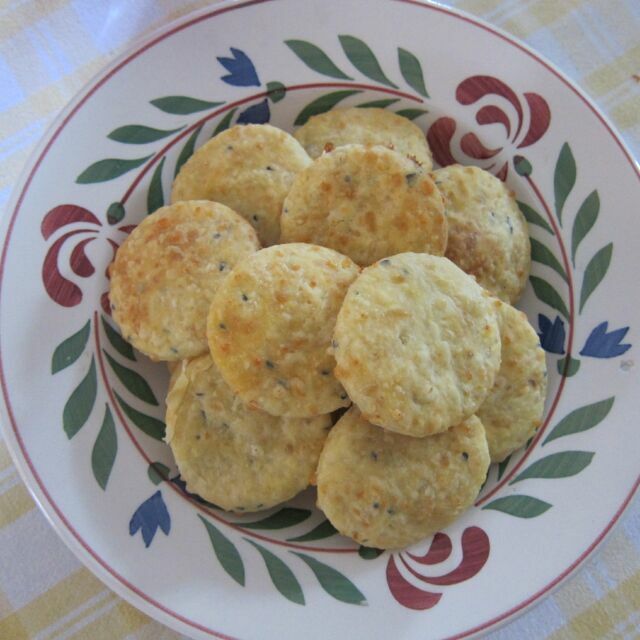 Hi Claudia, I also made a batch of herbed scones this week. Yum! Question, have you ever used the wild Turkish rhubarb in a dessert? Thanks! You know, that's funny you should ask that: I have never in my life seen it before but I am guessing that that's what it was when I was in Eminönü on Sunday and there was a guy with a barrow full of this funny looking stuff. We all hazarded guesses as to what it was: asparagus? rhubarb? Where have you seen it and what did they call it? I asked this guy but he mumbled something and I didn't get it. Hello Jay! Thanks for coming by my blog and thanks for commenting! Have just had a quick look at your blog and will definitely be going back!